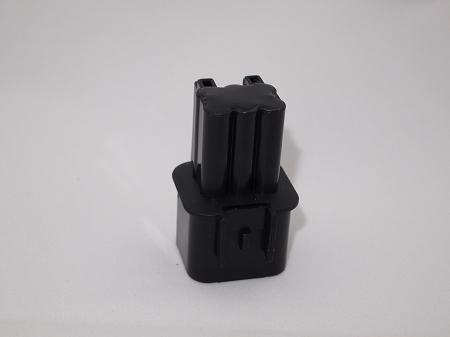 Injector Resistor Pack Bypass / Delete Plug for the Evolution, DSM, Eclipse, Talon, Laser, 3000GT, Stealth, GTO and many other 4G63 powered vehicles. Use this plug instead of butchering your stock $80-$95 Injector Resistor Pack when using High-Z (Hz) Injectors. CNC machined and internally sealed for a beautiful look. Only available here! 14 ga high quality cross-linked polyethylene TXL wire, crimp spliced (no soldering), silicone sealed, and heat shrinked with Raychem dual-wall heat shrink. 14 ga high quality cross-linked polyethylene TXL wire, crimp spliced (no soldering), silicone sealed, and heat shrinked with Raychem dual-wall heat shrink. Only available here! Copyright SpoolinUp LLC. All Rights Reserved.